Recent widow, Jane Marsh, is determined to recapture a rich, full life. She strives for youthful fun by riding a bicycle downtown on her lunch hour in a suit and heels, smoking cigars, eating at hipster restaurants, and re-entering the dating scene, even if her dates prove to be peculiar. Her most fervent desire, though, is to join an exclusive dinner club. She auditions, but is barred when her housekeeper is found murdered, and she and her guest list become the suspect list. Her, a killer? So what if her two late husbands died under suspicious circumstances. It doesn’t make her a killer. Having passed off a store bought Bundt cake as her own creation, she may have committed a culinary crime, but never murder! She grumbled during the drive home from the bakery. What kind of a housekeeper would show up late on the first day on the job? What if Monica was still there when the guests arrived? She had Cheryl’s vote of approval, but the other club members may not accept Jane if the dinner did not go smoothly. Well, a delicious Bundt cake would help—or was that cheating? Would the group reject her if they found out she hadn’t made the entire dinner from scratch? Once home, she threw open the door and walked inside. “Monica? You here?” Where was she? 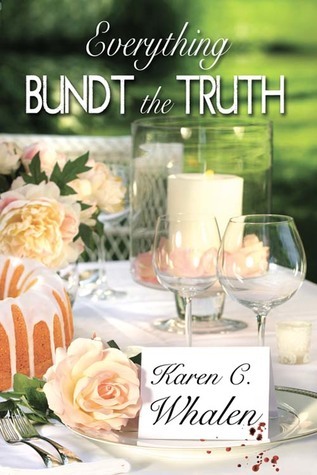 Karen C. Whalen is the author of a culinary cozy series, the dinner club murder mysteries, the first of which is Everything Bundt the Truth. 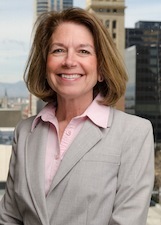 She works as a paralegal at a law firm in Denver, Colorado and has been a columnist and regular contributor to The National Paralegal Reporter magazine. She has hosted dinner club events for a number of years.